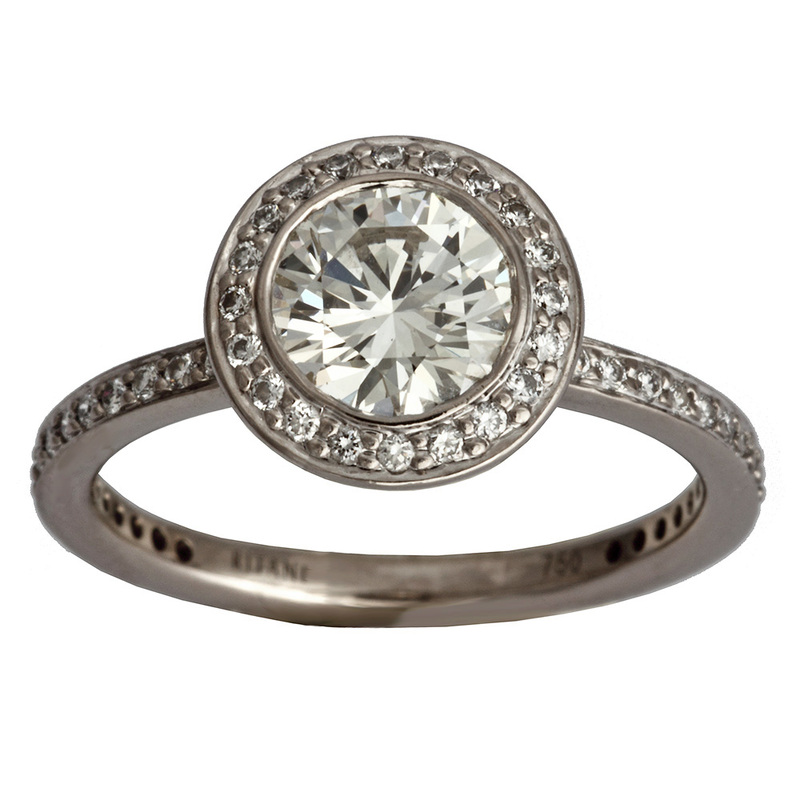 18k white gold Ritani engagement ring. This stunning ring from the Endless Love Collection features a 1.00 carat fine white round brilliant cut center diamond accented with 56 fine white round brilliant cut diamonds set in a halo around the center diamond and on the ring shank. 1.50 carat total diamond weight estimated. Like new condition estate item.